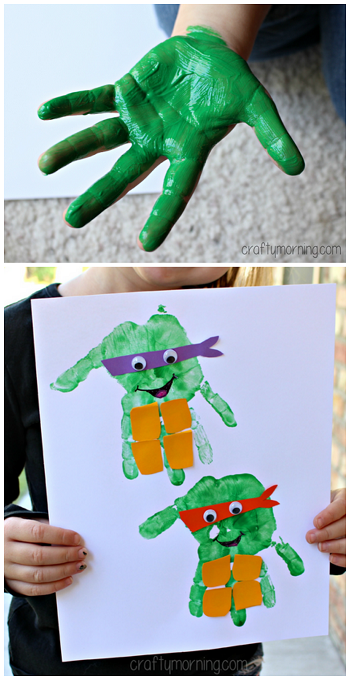 Ninja turtles are all the craze lately with the kids so I thought we would make some handprint ninja turtles! 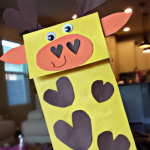 The kids can choose any one they want with the colored masks. 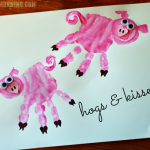 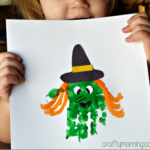 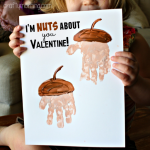 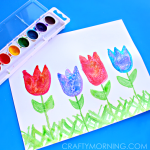 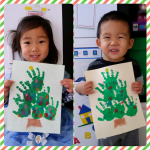 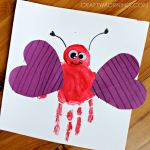 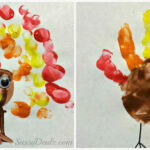 Hand print art is always fun for a keepsake! 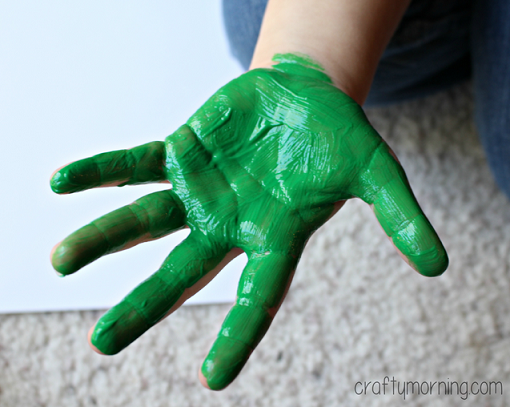 Paint your child’s hand with green and have them stamp it twice on a piece of white paper. 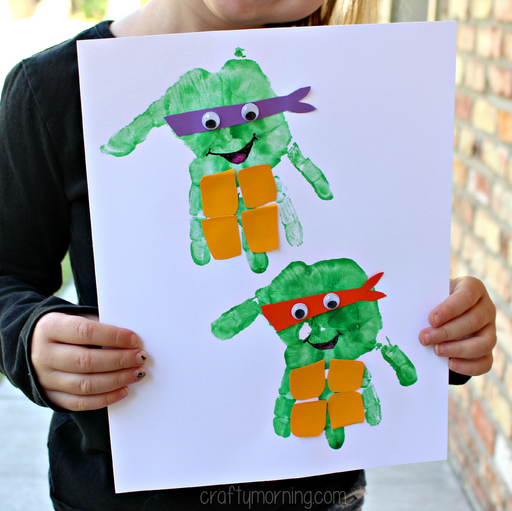 Once the paint dries, cut out some ninja turtle eye masks and glue on the googly eyes. 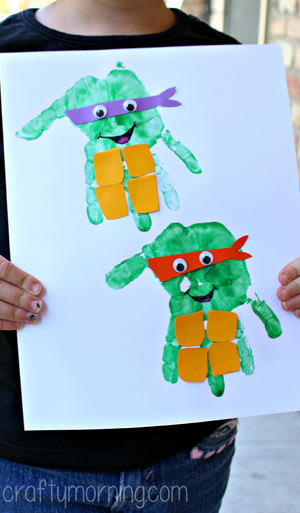 Draw a mouth and cut out the turtle’s yellow belly parts!